IRISH INDIE BAND Little Green Cars have broken up. Formed in Dublin in 2008, the band announced in a statement posted on Twitter today that they had “come to the end of the road” and were disbanding. “There has been no terrible calamity, no heartless betrayal and no punches thrown,” the band have said. “Rather, this simply feels like the right things for us, both personally and artistically”. 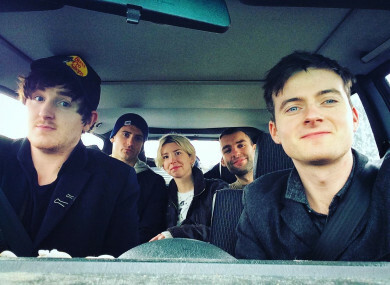 Made up of members Steve Appleby, Faye O’Rourke, Adam O’Regan, Donagh Seaver O’Leary and Dylan Lynch, Little Green Cars released their debut album Absolute Zero in 2013 which was followed up with 2016′s Ephemera. The band’s final performance will be aired at 11.30pm tonight on RTÉ 2′s Other Voices. Email “Little Green Cars reach the 'end of the road' as band announce break-up”. Feedback on “Little Green Cars reach the 'end of the road' as band announce break-up”.